It’s fun to make an animation from scratch! Any writer will tell you that the most chilling sight that threatens your creativity is a blank piece of paper … or the bright-white of an empty WORD screen. … an image created by dA’s spinaleek … of a sultry, bored Neru … just waiting for something, anything, to happen. 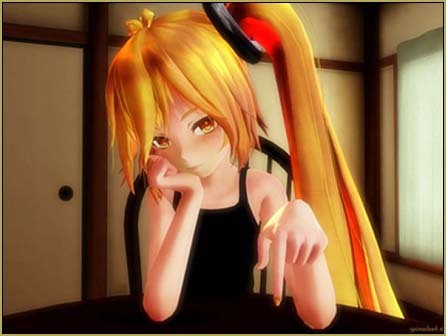 I wanted to see if I could recreate a similar scene using Miku … and animate a few minutes of boredom. “:o). I opened-up MikuMikuDance and was faced with that blank screen. I decided to push-ahead and start with finding a “room” to “set-up” in. I looked through my earliest attempts at creating stage-sets using Google Sketchup and I found that I had one that was just the right colors for the sombre mood that I wanted. 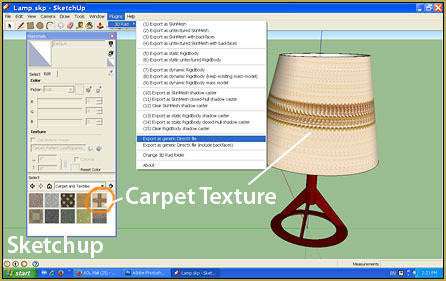 … I painted the lamp-base a deep red color … converted the Sketchup model into a DirectX model … and I had all of the pieces that I needed for my scene. The Empty GUI gave way to my completed scene! It was actually thrilling to watch the setting develop into the scene that I had envisioned. After loading Miku and the various accessories … I adjusted the brightness and color of the ambient light … moving the overhead lights so as to create the shadows that I wanted to see. I added the SSAO_lite effect to enrichen the colors and add depth to the shadows. I spent quite a while positioning Miku “just so” … the elbows, the sleeves, the slant of the shoulders, the eyes, the eye-lids, the eye-brows, the “mouse” (mouth) settings, the tilt of the head, the curl of the fingers (one-by-one), the rotation of the arms and wrists … all the while keeping an eye on my Neru-inspiration picture. … I got just exactly the “look” that I had envisioned. I am afraid that my Miku doesn’t have “the fire” evident in spinaleek’s Neru image … but I feel that the setting and the attitude is just right. Why the “basic” Miku model?? 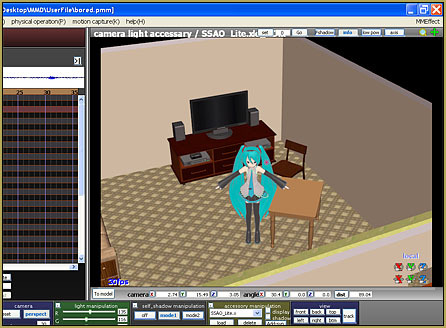 Models available for MikuMikuDance have come a long way from those, like my Miku (Animasa’s ver. 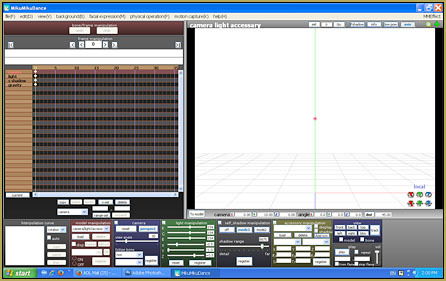 2), which are included in the basic MMD download. I mean, just LOOK at her … the simple coloring and those faceted “curves” … but, for me, the original models ARE MikuMikuDance. 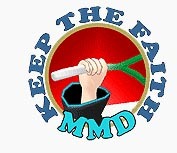 I have newer models … but the look, the feel, the challenge of MMD revolves, for me, around those original models. 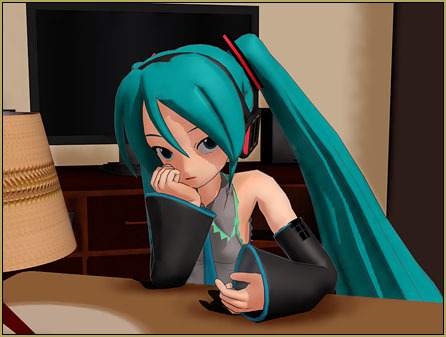 My association with LearnMMD.com calls for me to use the older Miku model “just because” she is the model included in everyone’s original MMD folder. As I envision a new scene … it’s the old models that I see. … and it’s great fun to see what develops as you put your mind to the test! I believe when the idea comes to you, they’ll come as brutally as a storm. Let them naturally flow into you and you’ll be even more amazed at what you might be able to make. Thanks for the great article! It really inspires me! Thank you for that! … the “human creativity” MikuMikuDance brings to the surface is a big part of my enjoyment of MMD… the videos, the art, the fandom… awesome!